Before I say anything meaningful, I just want to shout out a couple of things: 1. 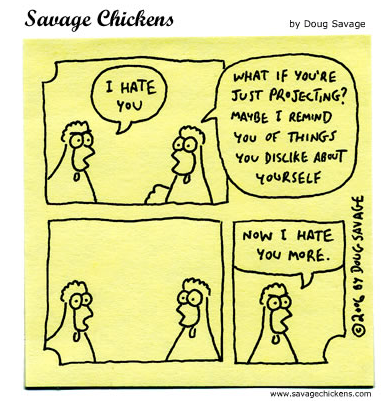 I love the fact that googling images for projection lead me to discover Doug Savage and www.savagechickens.com – amazing. 2. I didn’t hit my Monday evening self-imposed deadline last night because I was feeling grumpy (it can happen however happy life is) and I didn’t want to publish any grumpiness. It’s rather against the spirit of a hopeful / happy blog :p That’s not to say we can’t talk about negative things, though. I just think it’s important to talk about negative things with a positive attitude. I’m glad that there are so many funny things and funny friends in the world to lift you out of grump when you find yourself there. My best friend (since we were sevenish!) has always been one of them. Let’s call her Amster. She wrote me a lovely well-wishing email a while back with congrats on the blog and business and a suggestion for a potential post – and here it is! The best friends are not necessarily the ones who agree with everything we say and do. Nor are they the ones who disagree with us, but support us blindly regardless of their opinion (though this can be nice!). The best of friends are the ones who are capable of challenging us and confronting us – the ones from whom we can take constructive criticism because it comes out of care. Even when a comment comes out of care, however, it can be difficult to swallow. It’s so easy to put someone’s back up and push them on the defensive. That’s because you’re threatening them – who they are; what they’re doing; why they’re doing it. And sometimes it’s worth asking yourself why you have something to say about it. Why have they made you critical? Is it because they’ve made you uncomfortable? Amster become increasingly frustrated with me after I left my life in London. I didn’t know what I wanted to do – just that I didn’t want to do what I had been doing. And so I drifted. I had a lot of fun. I travelled. I read. I wrote. But without much direction or purpose. I suffered from inertia. I didn’t want to be captured back into the life I had before, but I still needed to make a living. And I wanted to make it doing something I loved, but my pipe-dream plans were all half-formed and half-followed-through. As I pondered this, I floundered somewhat. At the same time, however, I felt like it would all come good. I’d find my calling and sort my life out. It was just too early to find out what that life would be. This was a source of contention for my friend. Why couldn’t I just sort my life out now? Why was I floating through this inertia? Why wasn’t I just figuring it all out and fixing it? I needed the time I took, even though I didn’t know then where it was taking me. Amster was on the brink of bringing it up and harassing me about it. She was goaded by my choices to the point of being about to ‘have a go.’ It would have come out of care, but I know that I would have reacted badly. I would have gone on the defensive out of pride. This would partly be because of the truth in her frustration – I did have an underlying worry that I wasn’t doing enough to get on the right path. I was just going with it – and now I’m glad. At the time, however, I didn’t have the confidence to have endured the knock of an attack from an ally. I needed the support I was getting. It wouldn’t have gone well. What did happen was much more interesting. Amster paused for thought and asked herself why she was so annoyed. She realised that the reason for her frustration was that my life was reflecting hers back at her. She was doing much the same thing – being inert; being unsure; not making progress. She realised that just because she was doing it from a position of relative security, it didn’t make it less of a pain. And she was about to take that pain out on me. Because of her epiphany, however, she didn’t. And we ended up with dialogue instead of diatribe. This was a thousand times more motivating. We made a plan. We promised to keep each other up to date and cheer each other on. We pushed each other on and pulled each other up. We achieved big changes. We made great progress. We came closer to our dreams because we became more conscious of our thoughts, feelings and actions. We held each other accountable. We still do all of these things and it’s a source of never-ending happiness for me. I am never alone. I can share my failures along with my triumphs. I can criticise and receive criticism – I know it comes out of care. I also know that it is carefully considered. Who is annoying you right now? Who is putting you on the defensive; paining you; causing you to bite your tongue to the point that you’re coming close to biting their head off? Now pause for thought. Before you let out your frustration, ask yourself why you feel frustrated. Is it them? Or might it be you? It could be both. I’m not saying, if you can’t say something nice – don’t say nothing at all (though that can be a good lesson, thanks Thumper). Rather, if you can’t say something nice – wonder why. 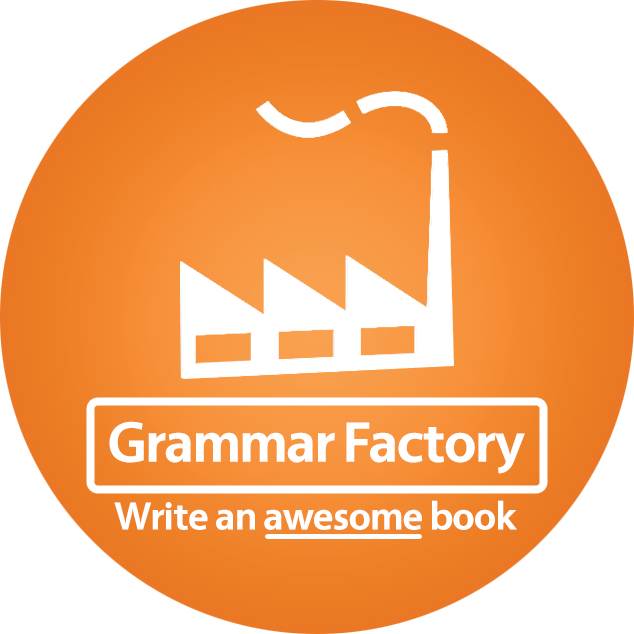 And if you have some constructive criticism – deliver it in context. This is how the best friendships foster. This entry was posted in On Friendship, On Where I've Come From & Where I'm Going and tagged a true friend stabs you in the front, editor, friendship, happiness, hope, make the right mark, oscar wilde, pride, projection, right ink on the wall, sara litchfield, writer on October 1, 2013 by Sara Litchfield. Great post. I have been living in a new location, Texas (of all places I NEVER thought I would live), and had a rough run of making friends. I think it is so true what you wrote. I also look for patterns in relationships and if I see a pattern it usually comes down to the way I am acting or reacting to the world. Sometimes when you see “friend’s” patterns, they’re in disguise of your own. Three years here and sometimes it still feels like year one, and half of my life is still far away. Thanks 🙂 I’m definitely much more aware of my own reactions to the actions of others now and where that reaction is coming from! If someone pushes my buttons, I always ask myself why I’m so annoyed and then realise the reason is something to do with me – that always defuses the situation! I know how you feel – all my friends are back in the UK really – I’ve made many here but Queenstown is a place people come and go constantly, so there’s always a new crowd!